Keep up to date. Read the Notices, check the calendar. 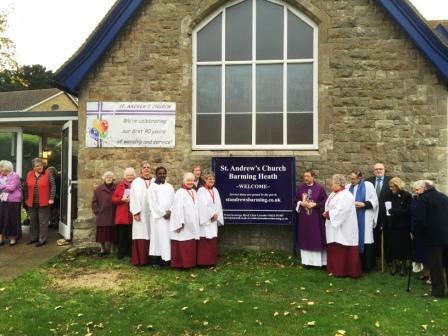 Follow St Andrews on facebook. 19:30-21:30 MU meeting in the Hall with talk by Lynda Callander on Operation Sunshine. 19:00 There will be no Choir Practice this week. 10:00-12:00 The Tiddlers mother and child playgroup meet in the Hall. 08:00 Said Eucharist to BCP. 09:45 All Age Worship Service followed by refreshments and Bring and Buy in Hall. Please read about our proposed After School Club and prayerfully consider donating to this very important outreach project. The PCC has agreed that we should continue to donate non-perishable food for our local food bank. This can be put in the donation box at the back of the Church. Rev Chris will be on sabbatical leave from 23rd April and will return to parish duties on 18th June. Upon his return the first services he will preside at will be on 30th June (a fifth Sunday with 8:00 a.m. at St. Andrew�s and 10:00 a.m. at St. Nicholas). During this period Rev. Barry will carry all parish responsibilities and he can be contacted directly or via the Church Wardens. Rev. Barry will be changing his day off from Tuesdays to Thursdays. We are looking for people to join a Quiz Team in aid of Rhianna's Jamboree to America. The Quiz will be held at the Scout Hut, Belmont Close, ME16 9DY on Saturday 4th May at 7:30 p.m. Entry is £6 per person. Please bring own drinks and refreshments. Please contact Liz Deane on 204569 if you would like to take part. Raffle Ticketes are now available at the back of the Church Tickets are priced at £1.00 each. Please do take books of tickets to sell. From next week on please place any donations of items for the Summer Fair in the boxes that will be provided at the back of the Church. . If anyone would like to join the Church Cleaning Rota which usually comes around about once every six weeks, please speak to Trina Lomas. To make happy sounds down at the pulpit end of the Church. 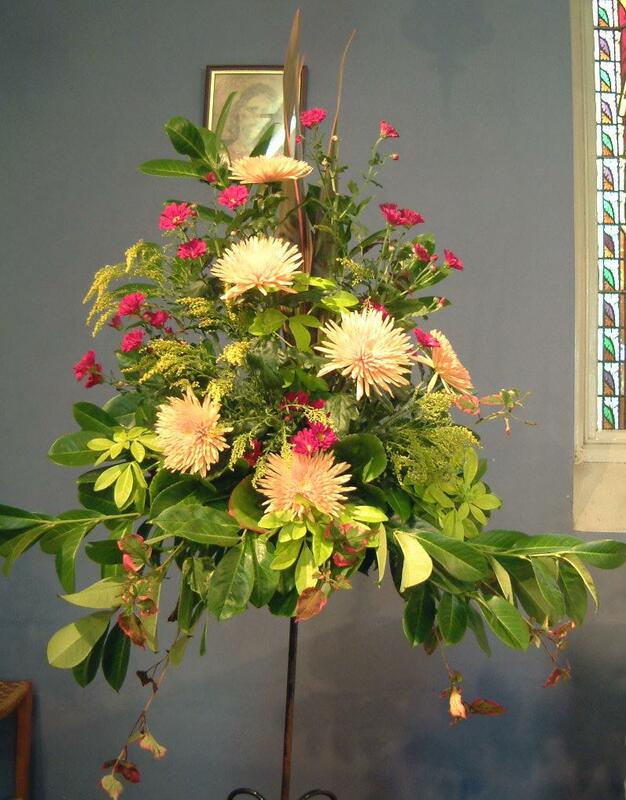 Contact Jean Sweetman (01622 728233) if you feel able to help in keeping our Church looking attractive. We would very much welcome some more volunteers to serve refreshments after our 9.45 a.m. services on the third and fourth Sunday of each month and on other special occasions i.e. the Summer Festival. Please contact Liz Deane or John Sweetman if you can help. Will anybody who would like to join the list of Readers or Intercessors please let John (01622 728233) or Jean Sweetman know.. 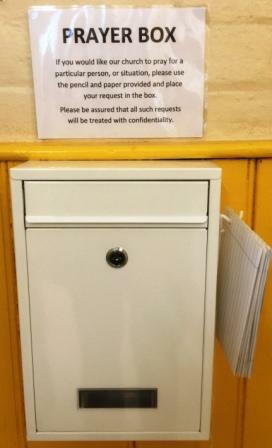 There are envelopes in the pews for use by those who wish to 'Gift Aid' their donation to the Church and are not part of our weekly envelope scheme. If you know of someone in need of a home visit or other pastoral care then please fill in a request slip (At the back of the Church)and give it to John Sweetman (01622 728233) . Please make sure that there are no unattended collection plates or handbags during the times when the Church is open. St Andrew's Church has a reputation for friendliness and warmth. We look forward to welcoming you to our services and social events. Please make a note in your diary of those that you find of interest. Tell us Of any events you want added to the Calendar and remember to check ahead for important dates. If you wish to recieve the weekly notices by Email then please contact either John Sweetman (01622 728233) or a Church Warden for more details.